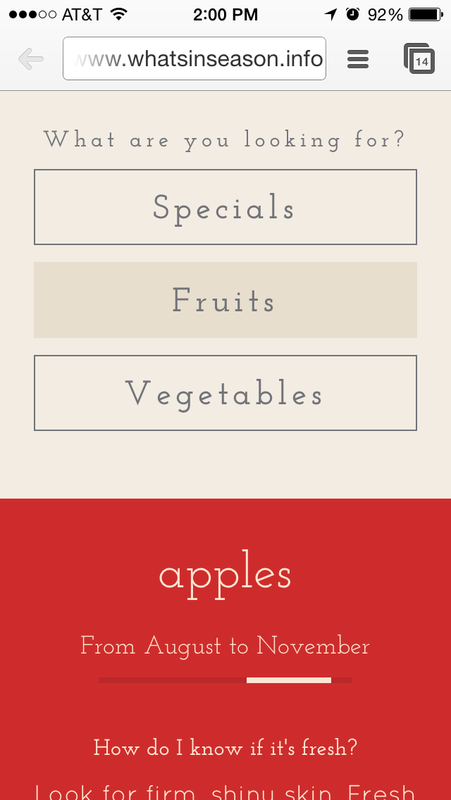 whatsinseason.info provides a monthly-updated list of seasonal fruits and vegetables. I’m Karl Sluis. Reach me at karl.c.sluis@gmail.com or follow my occasional tweets @karlsluis.